Ixia, a vendor of network test, visibility, and security solutions, is focusing on distributors that can add value in its new worldwide Xcelerate Distribution Partner Program. It has a new pricing structure for reselling global product support that it says will drive new revenue opportunities and boost profitability for partners. The aim of the Xcelerate Distribution Partner Program is to simplify and facilitate the process by which distributors, resellers, and integrators access and deliver Ixia's network visibility, test and security solutions. Participation in the program is by invitation only as Ixia continues to expand its channel infrastructure by engaging “premier distributors” to streamline processes for resellers worldwide. This includes providing and streamlining ordering, training, and enablement, marketing, and product support for Ixia's solutions. 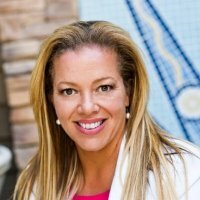 "Ixia relies on our distribution partners to accelerate sales of our enterprise solutions through the channel," said Lori Cornmesser (below), vice president of global channel sales at Ixia. The focus is on providing resellers some flexibility and choice in each region, to provide them with latitude to accommodate their individual go-to-market strategies, she says. So is it getting harder to find a VAD? “Not really. There are some distribution partners that have basic skills of transaction and logistics and this is core to their business – there are others that support of business model of pre and post sales enablement and deeper engagements. This skill is becoming harder to find and specifically with the depth and breath to support multi vendors. We profiled each of the VADs that we have engaged for pre and post sales skills and confident they can expand our reach with reseller base and in key markets,” she concludes.